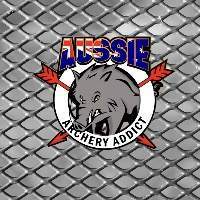 Can't believe its the 19th year running that the Gladstone Field Archers are hosting the Australian Longbow and Recurve Muster. We welcome all trad shooters to Gladstone. Check out the flyer for the shoot. This will be the first Muster I have missed in about 10 years. Also due to Water board regulations No Cats, No dogs, or pets of any kind. The Muster is a Trad shoot for all Trad shooters and everyone is welcome (card or not). We have a bunch of new 3D targets and hope that everyone is going to come out and have a shoot and a bit of fun. Glad to see this is open to all. Can I suggest an amendment to the flyer to reflect this. Unfortunately, over the last couple of years the number of Muster participants has declined and it would be a shame to alienate those who are not ABA or 3DAAA due to confusion. Amended Poster.........hopefully the card confusion is now put to bed!! Looking forward to seeing all Trad shooters in Gladdy for the Muster!! Will be 3 form Dalby. Things are looking fantastic at the Gladstone Field Archers.....the Muster is almost here. The grounds are looking fantastic.....ranges are set.......novelties are pretty cool........knife and axe comp is ready to go.......and the food is sounding amazing. Looking forward to seeing everybody either Friday night, or Saturday morning ready for kick off. Was planning to be at the muster this year but unfortunately plans have had to change... looks like it will be next year then. Hope everyone as a great shoot!!! Home after another great weekend. Was good to catch up with every one and have a good time. The eggs and bacon shoot was great fun too. See you all again next year.